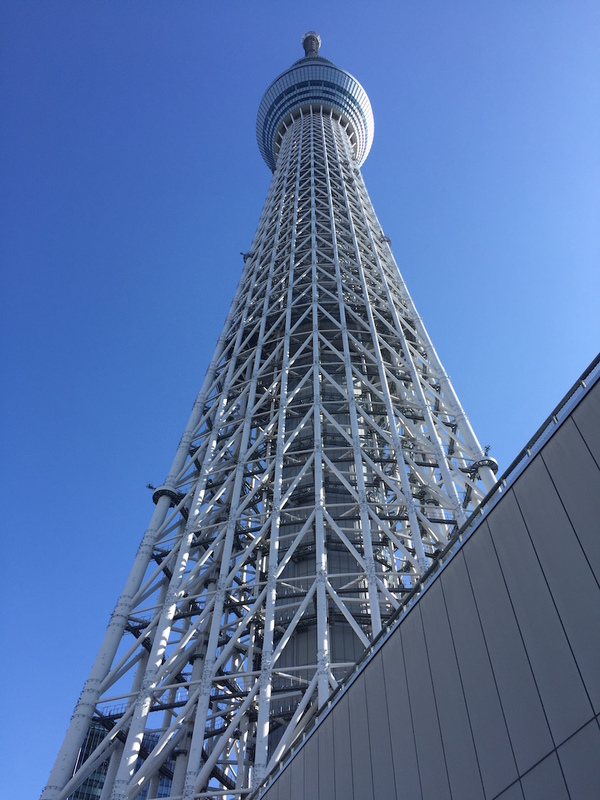 A sunny weekend, the university’s classmate living in California came to Japan on business, so I went to Tokyo SkyTree with him. 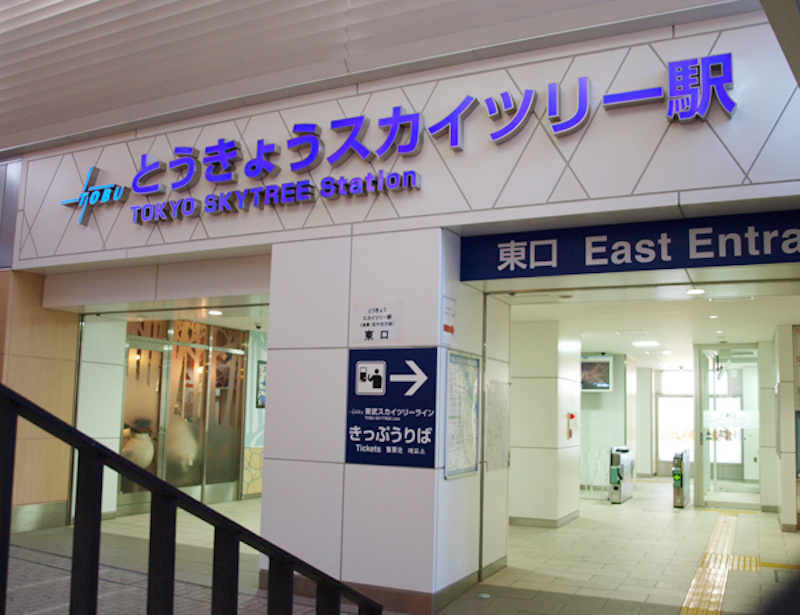 Since I came from Matsudo area, I get off at Sky Tree Station. 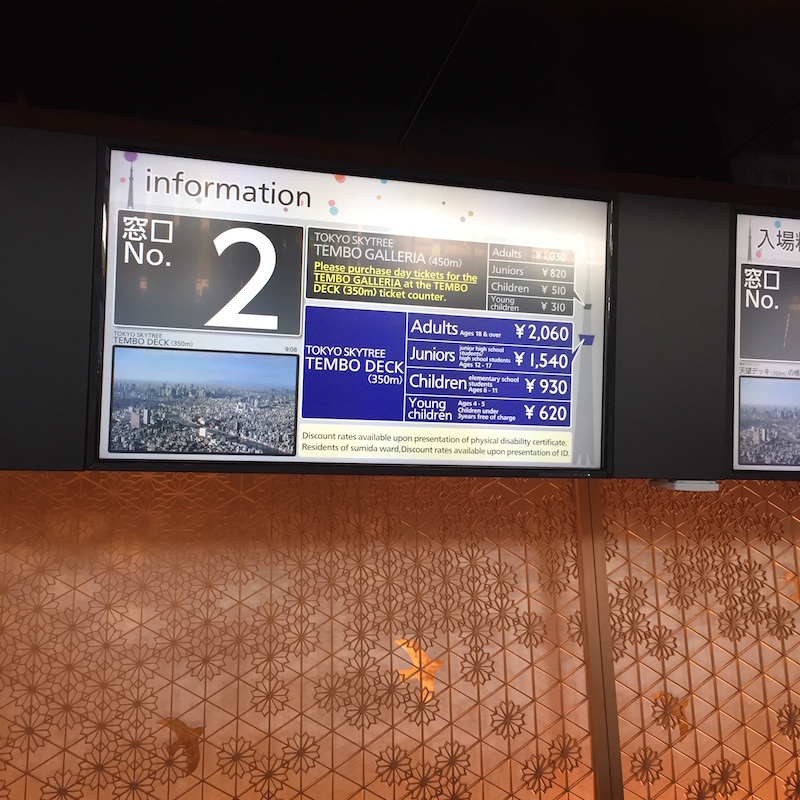 If you come from Tokyo visit, you can also go from Oshigami station. 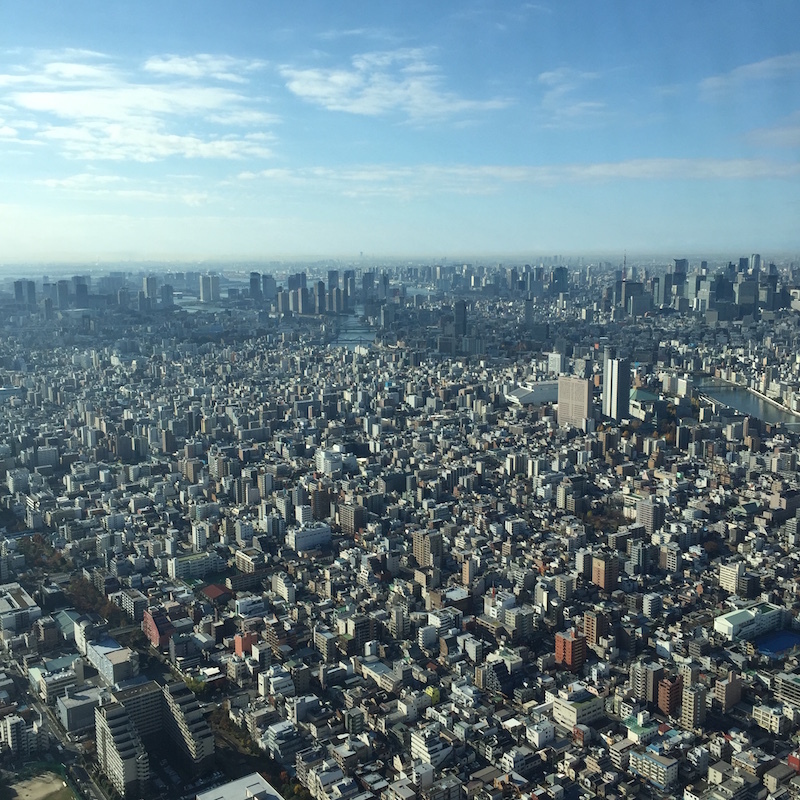 For some reason, Tokyo is hiragana “tokyo”. 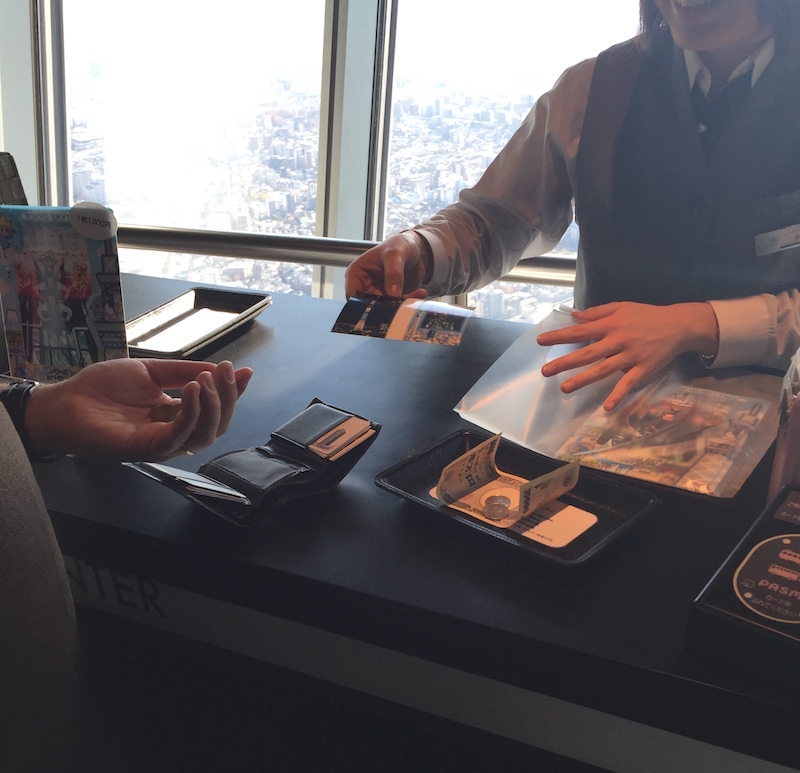 After all the sky tree is expensive! It is! The weather is cloudless and is the best! 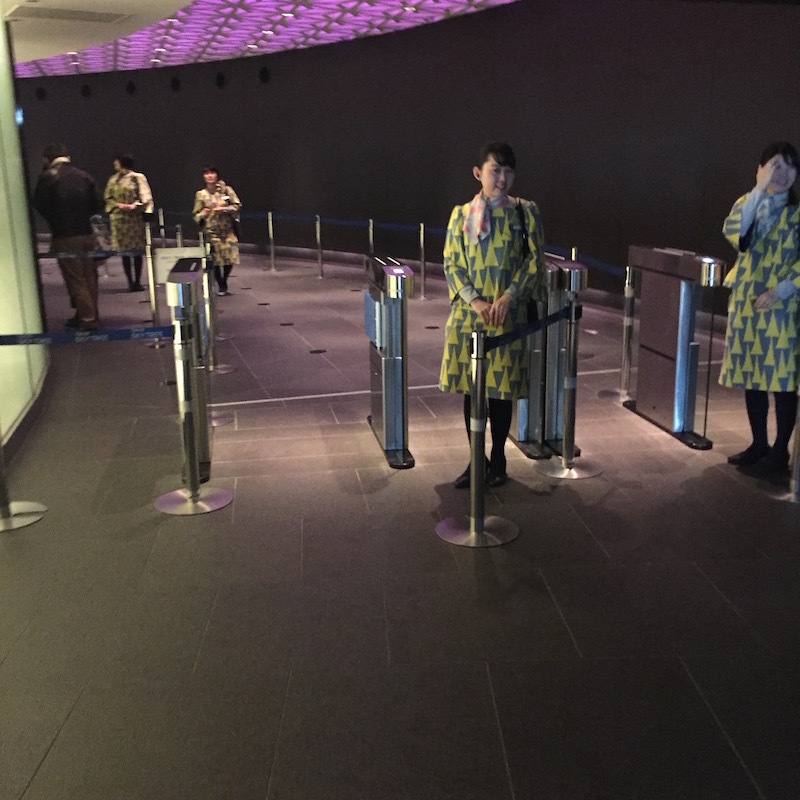 Although Solomachi is open at 10 o’clock, the observatory of the Sky Tree is open from 8 o’clock. 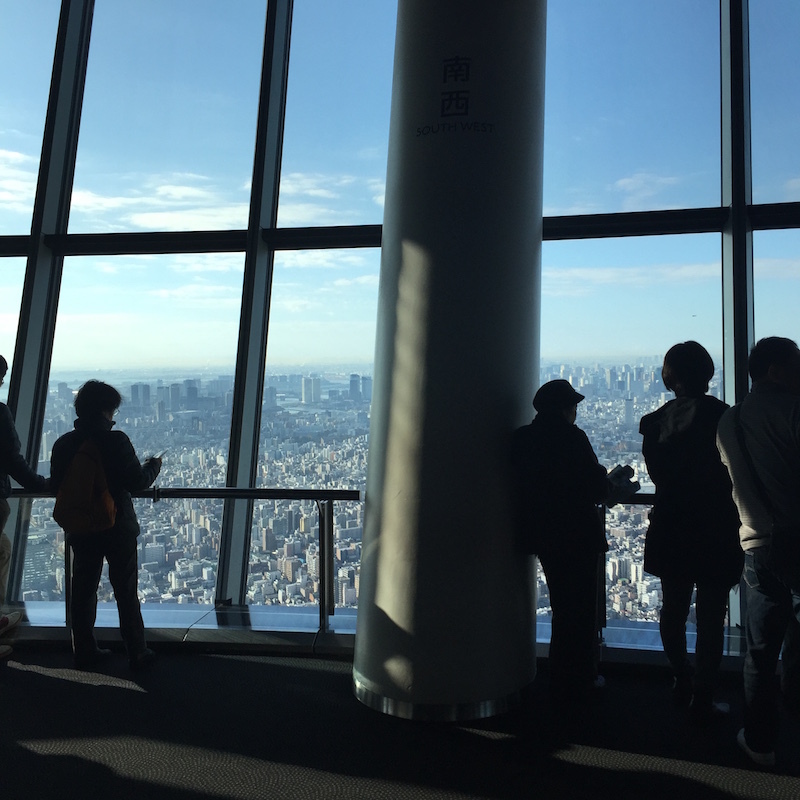 Because of the time zone nine o’clock in the morning, I did not stop at all and I was able to go to the elevator immediately. Elevator is surprising speed! 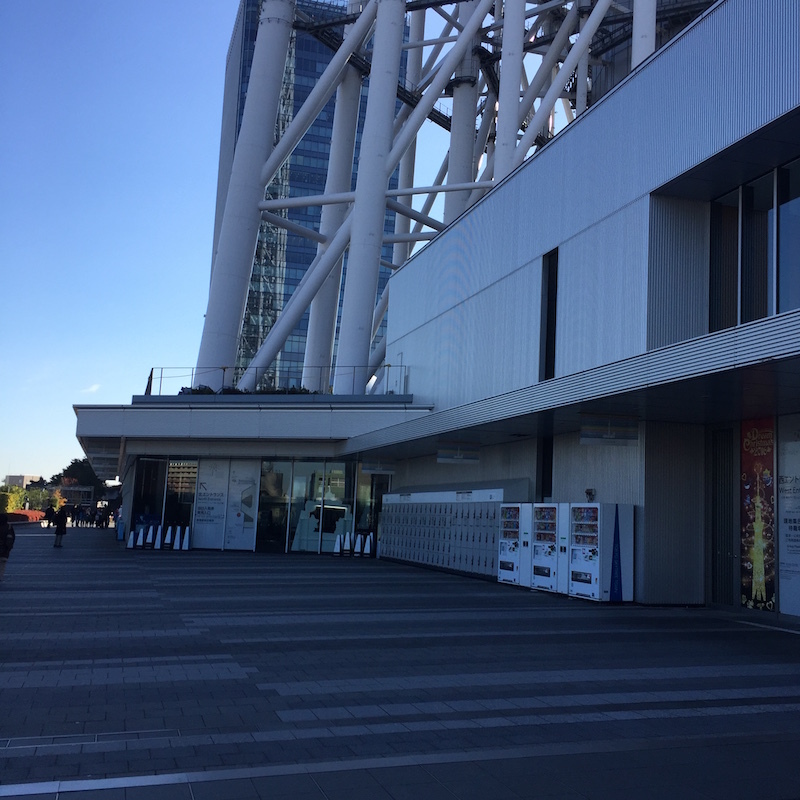 As we climb the building’s height of 634 m at a speed of 600 m per minute, it will arrive at the observation platform in less than a minute. 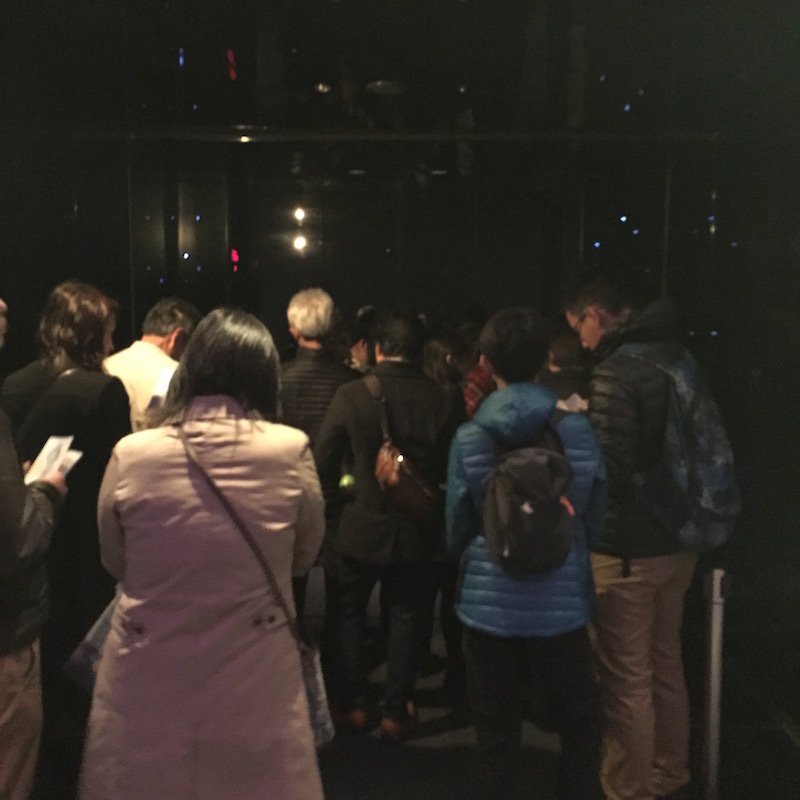 When coming to the observatory, it looks like this! It’s amazing scenery! It is! The weather was nice on this day, and it looked really good far away. It is really amazing. 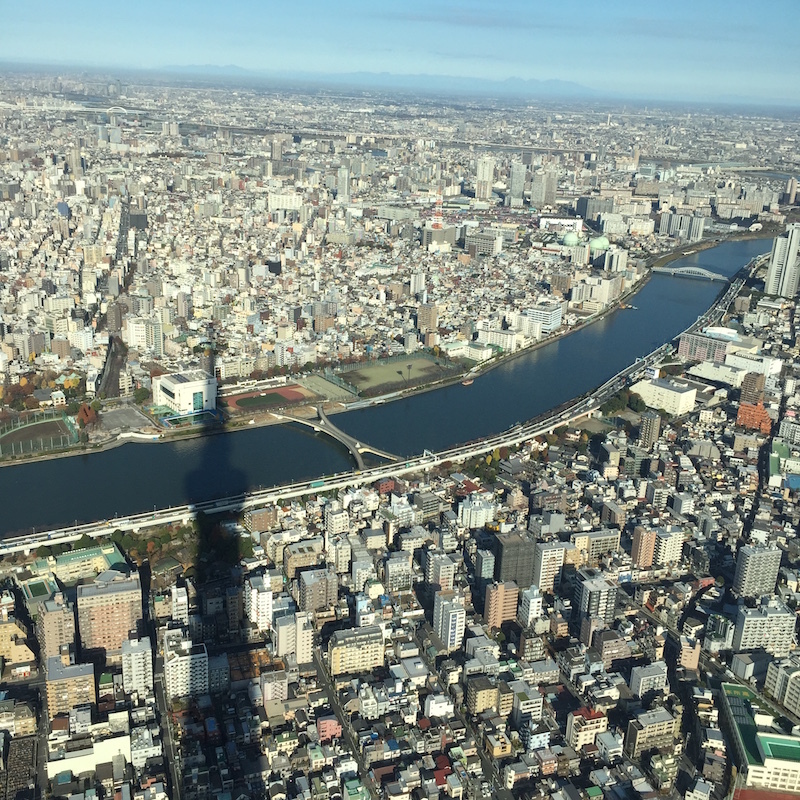 You can see the Sumida River at your feet. The zone where this feet is glass-faced is interesting. 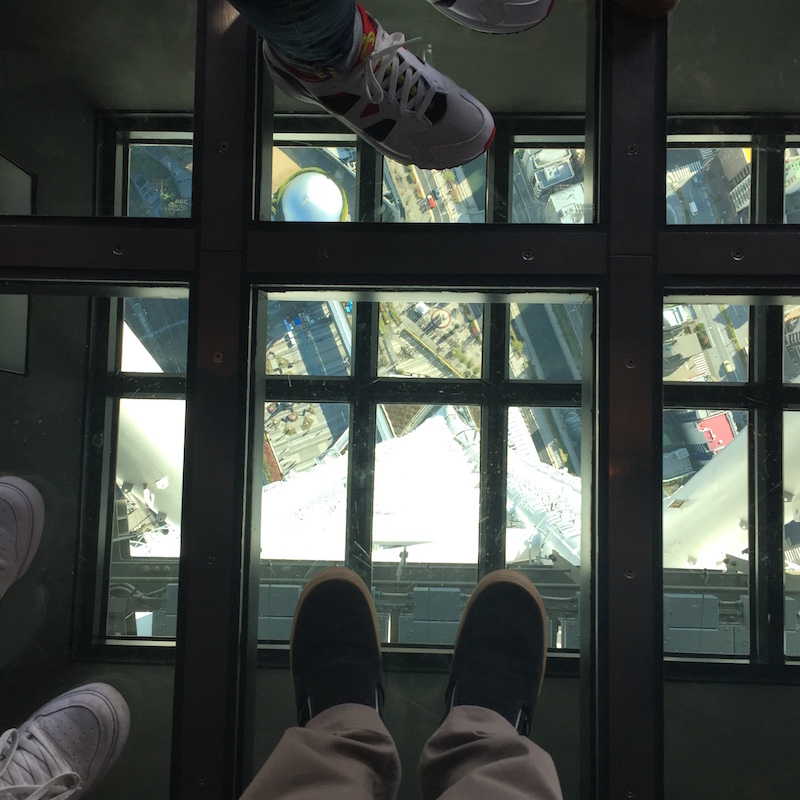 Camera reflection is bad, feet are like this. It is terrible height. Here, we will take a commemorative photo. One shoots on the Sky Tree side and the other takes pictures with their own camera. 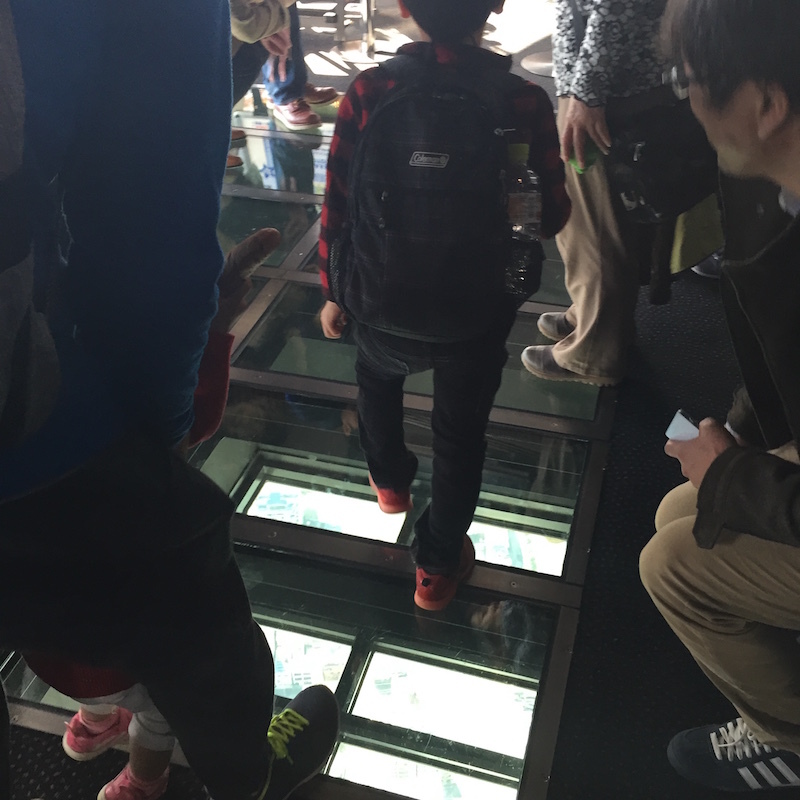 Photos taken on the Sky Tree side are developed on the spot and can be purchased at 1300 yen. 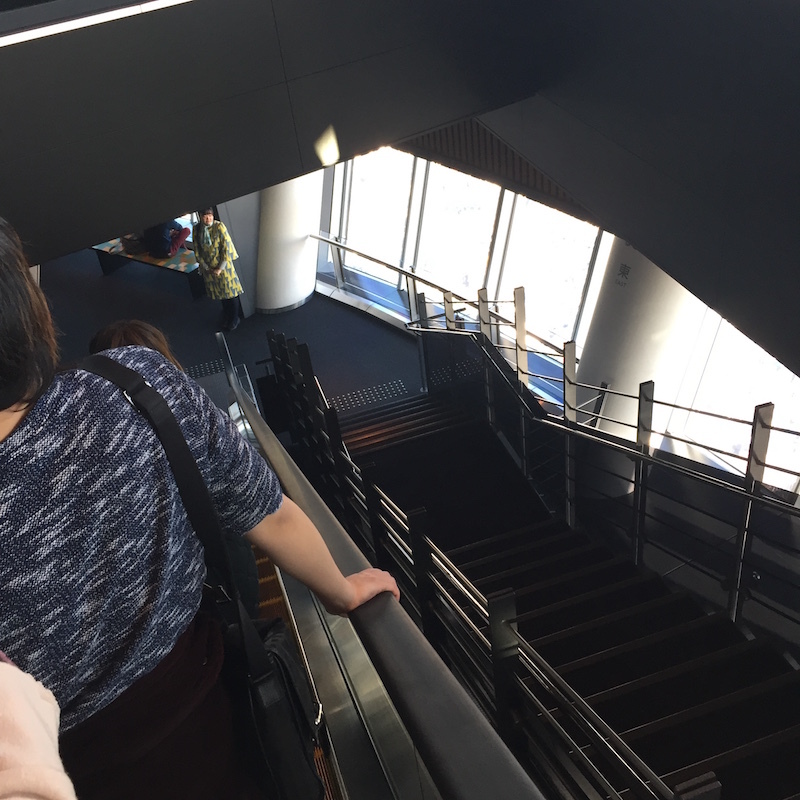 The observation deck is in three levels, and in case of returning, you descend downstairs by escalator down, and you will return by elevator as it is.